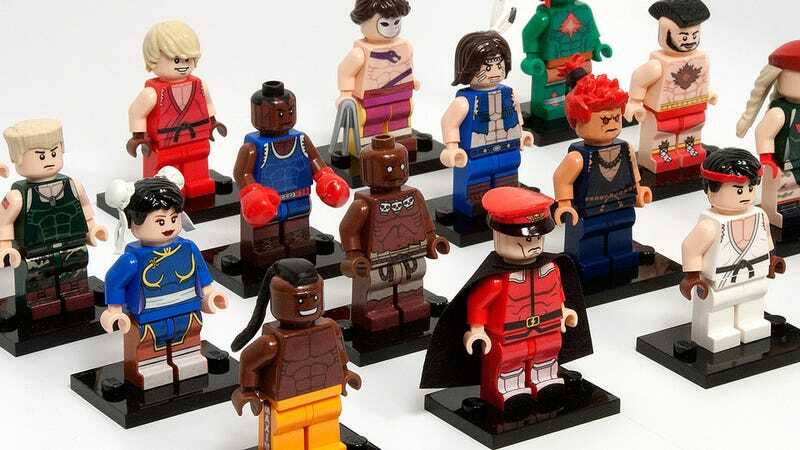 Custom LEGO builder Julian Fong has, after over a year of hard work, put together a set of Street Fighter LEGO minifigs that look for all the world like actual, official pieces. They're not, of course, he's painted and customised themselves, but the level of detail, craftsmanship and adherence to LEGO's own style is remarkable. Those wishing they were official...Fong has also submitted the minifigs to LEGO's Cusoo program, so there's a slim chance that, one day, they may actually be official.